Status: Eliminated by Laura Ortiz in Round 1! 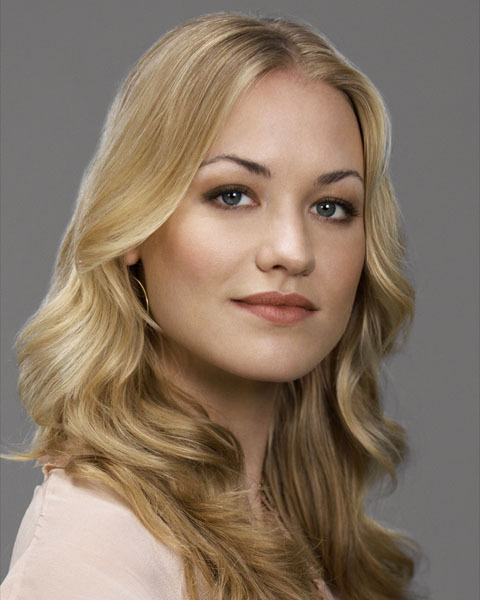 Yvonne Strahovski is an actress who is famous for her role as Sarah Walker in Chuck. She was recently a featured regular on the last season of Dexter. Her film credits include Killer Elite, Matching Jack, and as a lead alongside Peter Dinklage in I Love You Too. She got her start in Australian films and television and played a regular in the television series headLand early in her career. Yvonne changed the spelling of her last name, which is Polish (she actually speaks fluent Polish), at the suggestion of Chuck producer Josh Schwartz. She grew up in Australia and graduated from the University of Western Sydney. She is an avid outdoors person and enjoys rock climbing, horseback riding, and hiking. Check out her interview Craig Fersuson!